A coach, a plane, a minibus and a sleeper bus took us on the 36 hour journey from Exeter to Yangshuo, China. I’m completely blown away. 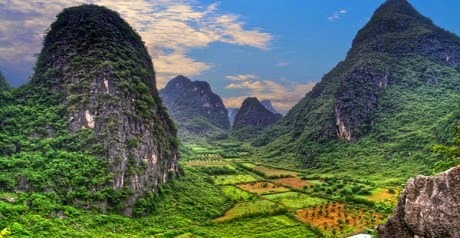 Yangshuo is a very unique place, unlike anywhere I’ve ever been. The city itself is buzzing and has become a booming tourist attraction for Chinese travellers; hotels, touring services and restaurants number in the hundreds, 95% of them targeting the Chinese traveller, given that the number of westerners visiting is still relatively low. The city has built up in and around a totally surreal landscape of karst towers that stretch as far as that day’s air pollution index will allow the eye to see. Beautiful, limestone pinnacles are a dime-a-dozen around here, ranging from slabs to dramatically overhanging and single pitch to 5 pitch monster outings. Rock climbing in here was first put on the international map in the early 90s when Todd Skinner, Sam Lightner and Mike Tupper established some of the still-standing mega classics, routes like Over the Moon 7c which climb out the incredible Moon Hill formation. Since then the area has seen a number of rebirths and cycles of popularity- most recently influenced by a segment in Dosage 5, visits by Chris Sharma on the Evolv tour and more recently a stop on the Marmot Lead Now Tour. While Yangshuo is an incredible adventure for any level of climber, the amount of difficult climbing here has increased rapidly in the last few years, with a good number of routes in the eighth grade to go at.